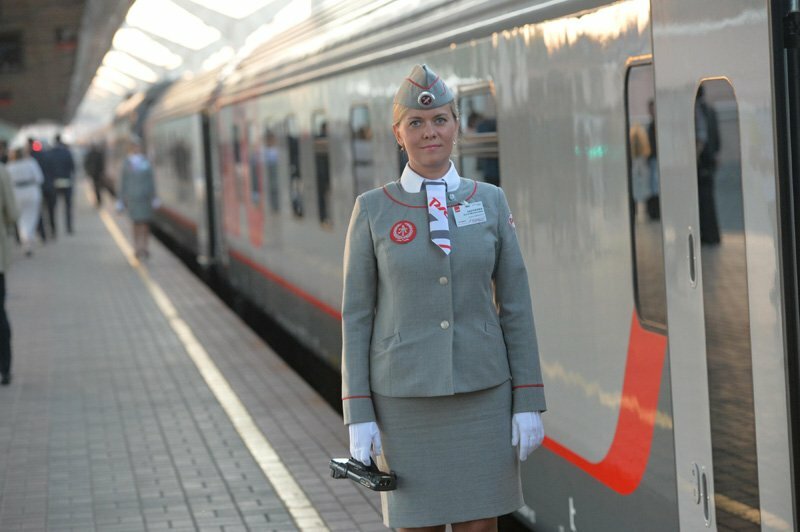 Lev Tolstoy train, Buy Lev Tolstoy train tickets online quickly and easily. Lev Tolstoy train is an overnight Moscow to Helsinki train with a stop in Saint Petersburg run by the Russian Railways. The train has been operating since 1975 and now it runs every day (except for December 31st). 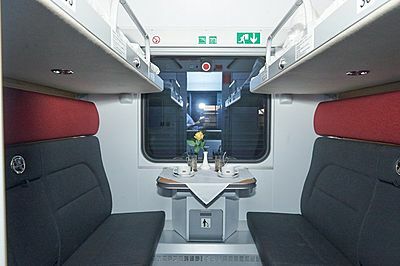 The train has VIP 1st, Regular 1st and 2nd class cabins. In 2014 regular 1st class and 2nd class carriages were replaced with new ones. VIP 1st class compartments are equipped with a private shower and toilet, TV, DVD, individual air-conditioning and 220V socket. Lower berth is 110 cm wide, upper berth is more narrow. Compartment can only be booked as a whole. 1st class compartment has two lower berths. The cabin has individual air-conditioning and 220 V socket. There is one shower per carriage. 2nd class compartment has two lower and two upper berths. The train also has a nice dining car with an authentic Russian menu. One can get Tax Free Refund on board.